Home > Timesheets > Timesheets - FAQs > How Can I Configure Timesheet Approval? To start with, you might want to have one or more users with “Timesheet Approver” role. 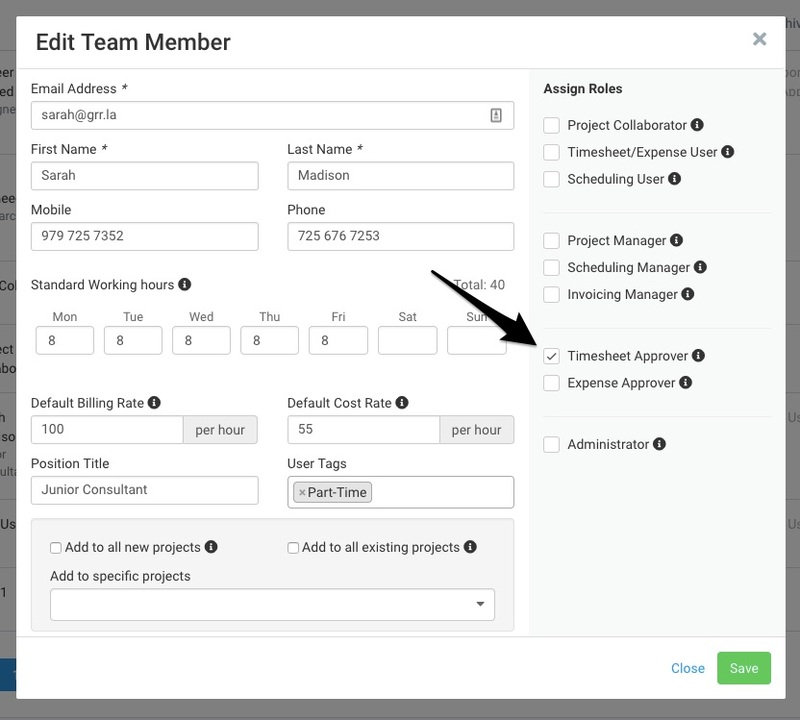 You can set this up via Contacts > Clicking on a team member or external contact > Assigning Timesheet Approver Role (free role). Admins can already approve timesheets and do not need this extra role. You can configure timesheet approval when you create a Project by clicking the “require timesheet approval by default” checkbox. This will default the timesheet approval required setting for each project member added to this project. 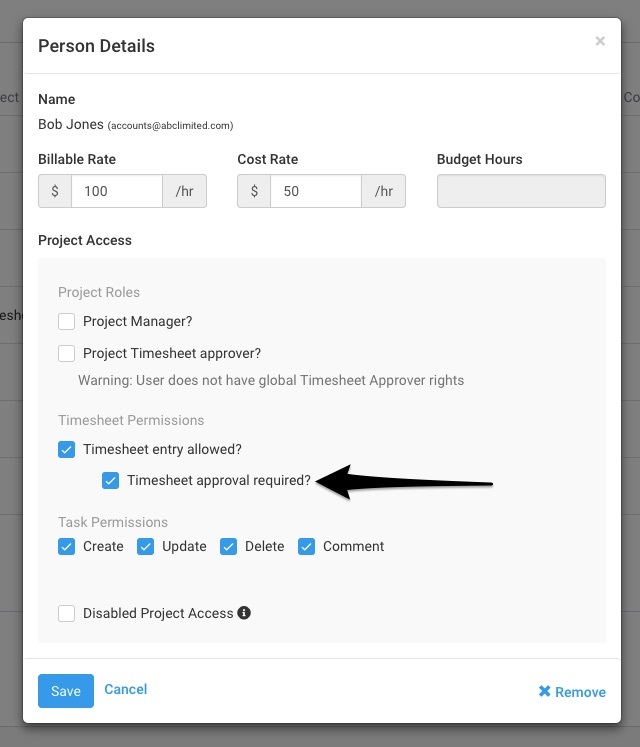 To configure timesheet approval after you have already created a project, navigate to Project Settings. Check off the “require timesheet approval by default” box here, but please note that this will only apply to members added to this project going forward. In order to update the setting for existing members, scroll down to the Project Members panel and click one of the existing members. This will open the Person Details dialogue. Check the “Timesheet approval required?” and click Save. For users who should be able to approve timesheets for this project, check the “Project timesheet approver?” option. Please ensure they have the account-level role assigned to them. For more details on timesheet approvals, check out our blog post. You can also contact our support team via chat or by emailing them at support@avaza.com.